After a few weeks of being missed, Quezon City's only night food market Mezza Norte returns at a new and more convenient venue -- Trinoma Mall. 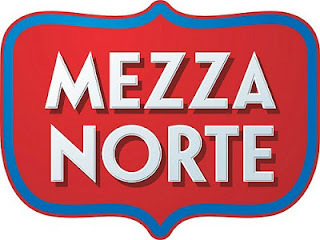 Mezza Norte, the lone night food market in Quezon City has been satisfying the hungry foodies for quite some time already at UP-Ayala Technohub along Commonwealth Avenue but suddenly stopped a few months ago which left the hungry QC residents asking -- Where is Mezza Norte going? Last May 3rd, the question was finally answered when Mezza Norte emerged in their new and more accessible venue at the Trinoma Mall Mindanao open parking lot along North Avenue. Still with their unique food merchant choices, Mezza Norte returns to satisfy the hungry Quezon City crowd. I visited Mezza Norte on their second day and the food choices are definitely plenty, perfect for every food lovers. Crossing North Avenue to Mezza Norte, you can already smell the lovely aromas of different food being cooked and prepared on the spot. I started off the night with some Taiwanese Fried Chicken Chops (70php) from Chicken Choppers, these tiny pieces of fried chicken meat are then drenched in your chosen flavor, I let them decide what I should try and they recommended the Spicy + Lemon Combo, I found it really delicious since I love spicy and sour combination! We decided to grab some pasta from one of the merchants (sorry forgot to note the name of their store TEEHEE), with the different choices of pasta available me and mom had a difficult time choosing which one to buy. We decided to grab some Chicken Alfredo (100php) since we love chicken. Since I promised my mom that I'll let her try Bagnet for the first time, we then dropped by Domz Food House: Ilocano's Best for their Bagnet Rice Patong (65php), we also ordered some Crispy Bagnet (100php) to-go. Piper's Pan caught my attention with their stacks of delicious looking mini cakes which surprisingly only priced at 100php for 3 pieces. I grabbed a couple of set to enjoy at Mezza Norte and some to enjoy at home. Aside from these delicious goodies we've tried, there are also other stalls worth checking out. Actually there are so many of them that I can't post all of them one by one, so here's some photos of what you can expect when you visit Mezza Norte. Mezza Norte is definitely one of the place I would return again soon because of it's wide array of food choices, live entertainment, great prices, and best of all -- it's just a stones throw away from my place. Friday - Saturday - Sunday, 4pm to 3am at the Trinoma Mall Mindanao open parking lot. for announcements about Mezza Norte.